Last year, a judge ruled the Florida legislature ran afoul of a constitutional amendment directing a certain amount of money be set aside for environmental spending. It seemed like a victory for environmentalists. the amendment’s backers have filed a brief in an appeal of the case, saying the judge may have overstepped. The lawsuit began in 2015 when lawmakers spent less than two percent of the $740 million raised from the amendment on land purchases, 2014's Amendment 1. 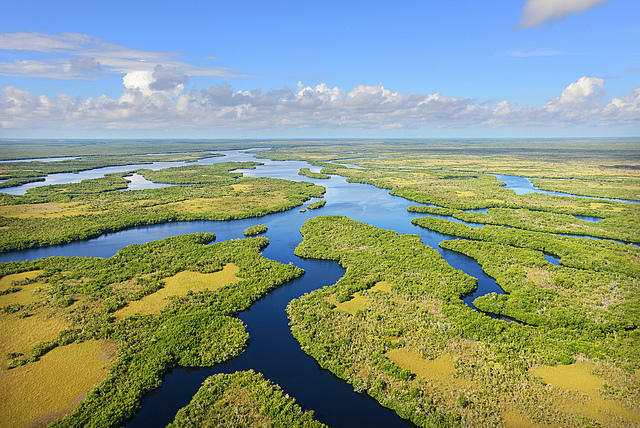 Florida Conservation Voters is asking an appeals court to uphold, but dial back the lower court’s ruling that blasted the move. Aliki Moncrief heads the group. She says the lower court’s ruling went too far when it excluded funding from being spent on management and restoration of existing land. 'We’re trying to get the pendulum to swing to the point that we have resources to meet all those critical needs," she says. The legislature has appealed the lower court's ruling. In 2016, it passed a law requiring at least $200 million a year for the next 20—the life of the amendment—be spent on environmental funding. Florida lawmakers are advancing a plan to allocate $100 million a year to the land buying program Florida Forever. Last year the legislature zeroed out its funding. With two landslide victories under their belts, environmentalists say they are waiting to decide whether to revive a solar ballot initiative in 2018.